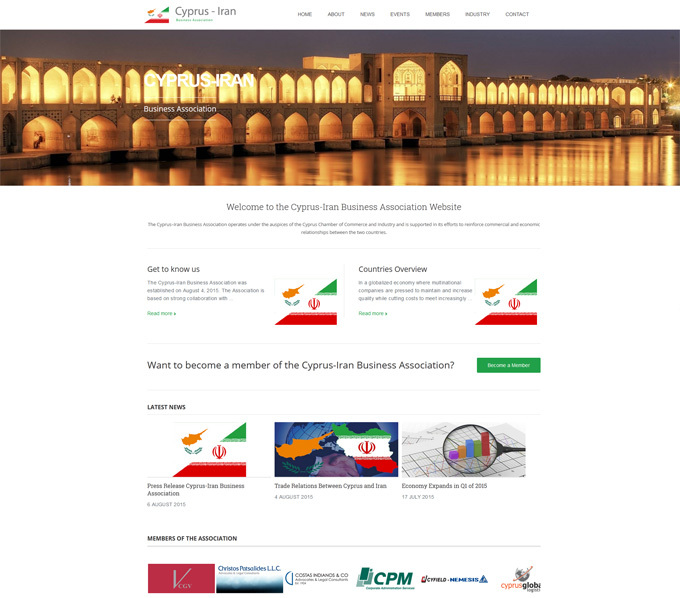 The Cyprus–Iran Business Association was established on August 4, 2015. 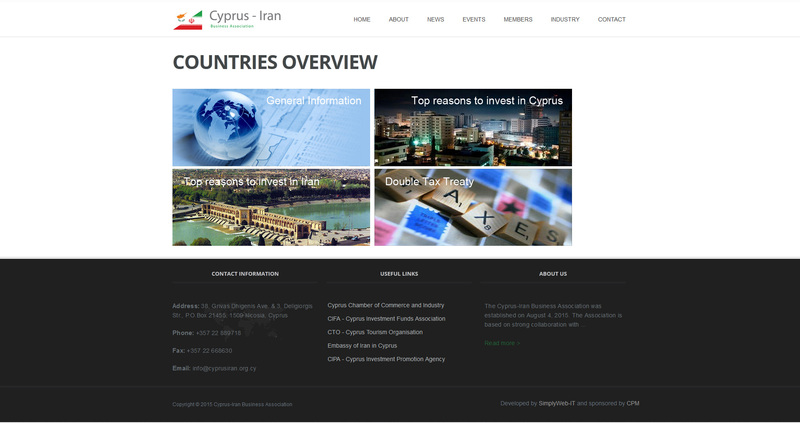 The association is based on strong collaboration with the public and private sector and functions under the auspices of the Cyprus Chamber of Commerce and Industry in order to promote and strengthen trade between Cyprus and Iran. 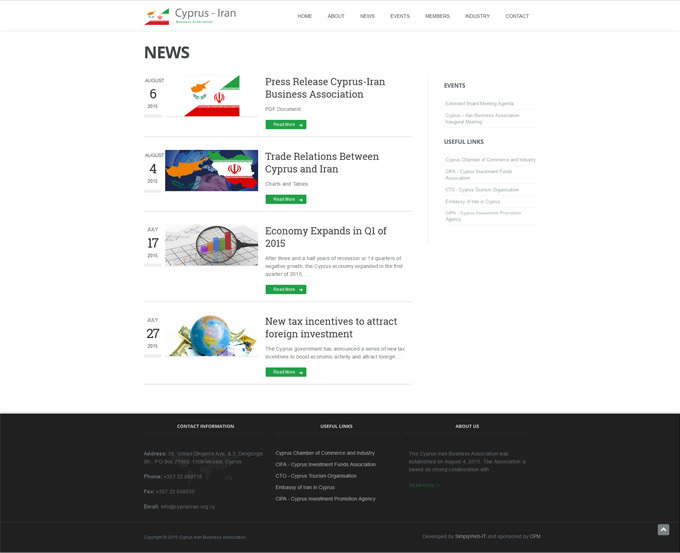 The partnership of Iran and Cyprus is based on friendship, mutual interest and the fact that our economies complement each other. The Association is supported in its efforts to reinforce commercial and economic relationship between the two countries by the Cyprus Ministry of Commerce, Industry & Tourism. 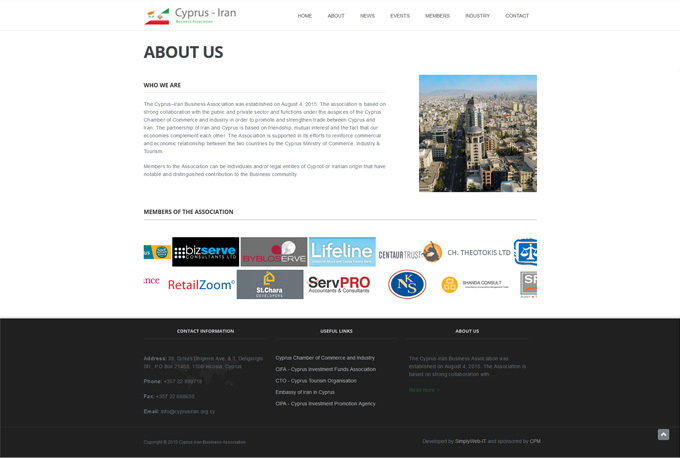 Members to the Association can be individuals and/or legal entities of Cypriot or Iranian origin that have notable and distinguished contribution to the Business community.